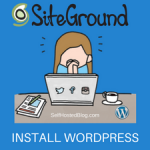 If you are using WordPress for your blog, you may have noticed that there is no navigation menu when you first installed it. 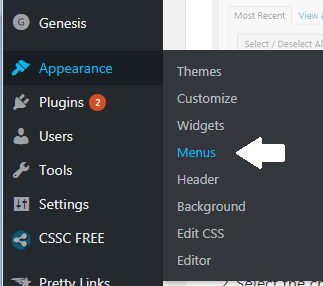 If you install a new WordPress theme the menu may no longer display. 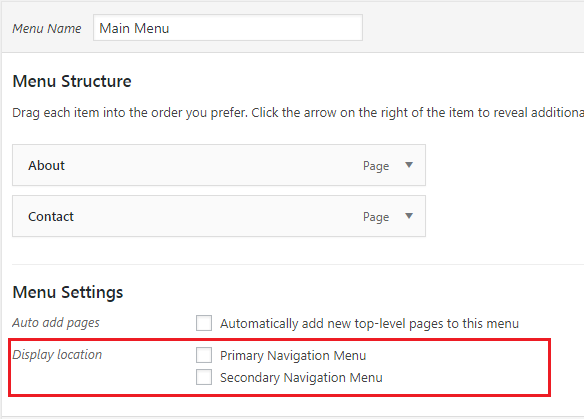 In this post, you’ll learn how to add a navigation menu in WordPress and how to create a custom link. 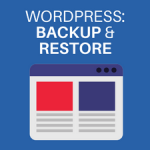 A WordPress menu usually appears at the top of the page and includes links that organize your content. 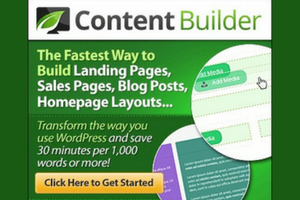 Pages, which are static content, are handy when they appear in a menu. 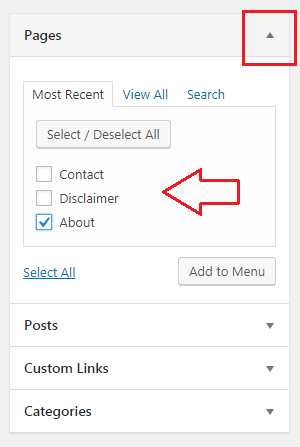 You can also include categories so your readers can easily access blog posts contained in those categories. I like to use the latter as it provides the options more clearly. Under Edit Menus, select Create a New Menu. Enter a name in the Menu Name box and then click Create Menu. Now that you created a menu, you can add items to it. 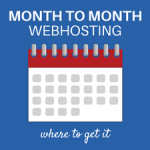 You can add links to various Pages, Posts, Custom Links and Categories to your menu. The left side of the Menu page shows you the various elements you can add to your menu. The right side, is where you will drag an item to add it. On the left side, if the pane is closed, click the arrow to expand it. Select the check box for one or more items in the list. Click Add to menu. 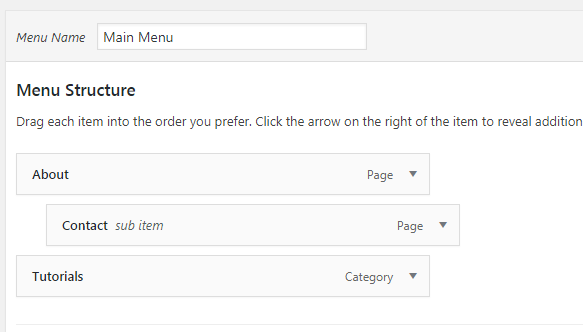 The selected items will appear under the Menu Structure box. 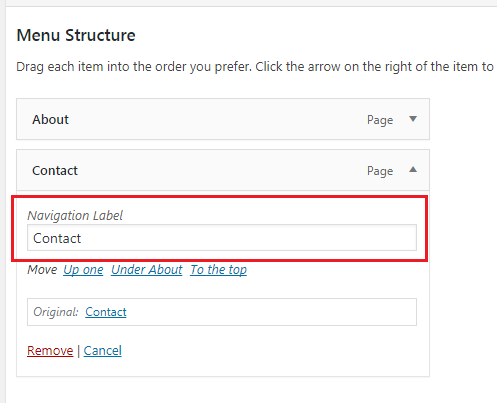 Click and hold an item in the Menu Structure box and drag up or down. To make an item a submenu, click hold and drag under the item, then drag to the right. In the Menu Structure box, click the arrow to expand the pane that contains the menu item you want to change. Type a new name in the Navigation Label box. Click the arrow again to collapse the pane. Expand the Custom Link pane on the left. Type the URL of the destination page. 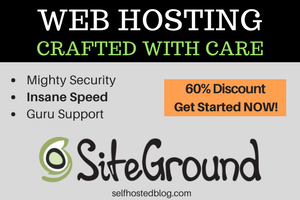 This can be on your website or another website, like a store or opt-in page. In Link Text, enter the label you want appear in your menu. Click Add to menu to move it to the Menu Structure. Now that you created the menu and added items to it, you may notice that you still don’t see a navigation menu when you view your website. 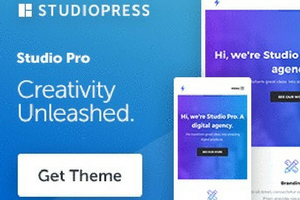 The last step is to add the menu to appear on your site. 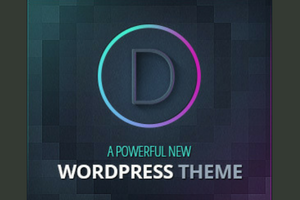 This instruction is dependant on the WordPress theme you are using. Under Menus, select Menu Locations. 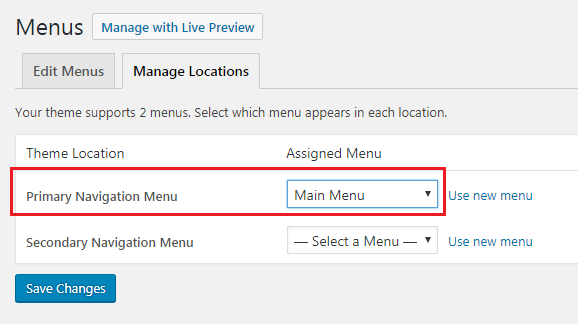 Next to either Primary or Secondary menu, choose the Menu from the drop down list that you want to assign to that menu location. You can also find this information under Menu Settings, just below Menu Structure. 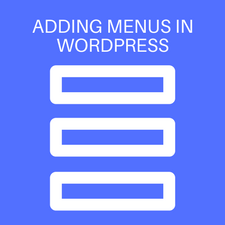 Adding menus to your WordPress blog helps your readers navigate your site and helps search engine understand more about the structure of your site. I hope this tutorial about adding navigational menus was helpful! Good structured menu is very important for your visitors and it’s your opportunity for good first impression.